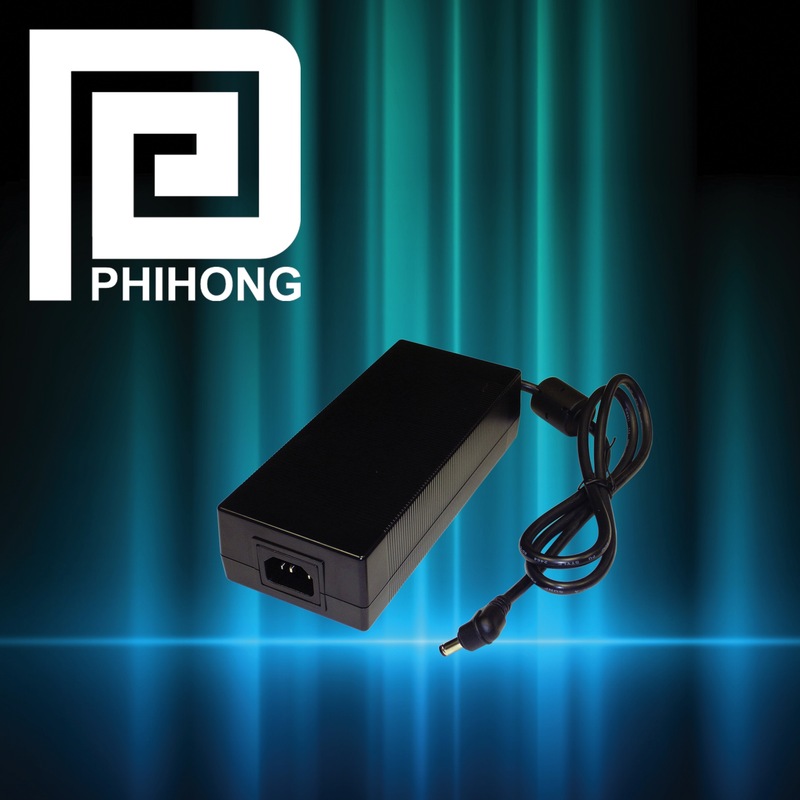 FREMONT, CA (April 20, 2016) – Phihong, a leading global supplier of OEM power solutions, has introduced new 120W desktop power adapters that provide convenient and energy-efficient power solutions for a wide variety of consumer and commercial applications, including: industrial, networking, peripheral, and test and measurement devices. The new PSA120U Series 120W power adapters feature a universal three-wire IEC320-C14 input connector, are rated for AC inputs spanning 115 – 230VAC, and are available in five DC output voltages: 12V, 24V, 48V, 54V, and 56V. “Thanks to their wide range of electrical input and output specifications, universal three-wire input connector, and compliance with several energy-efficiency and safety standards, the new PSA120U Series power adapters provide consumer and commercial device OEMs with convenient, energy-efficient, and cost-effective power solutions for a countless range of applications,” said Keith Hopwood, vice president of marketing for Phihong USA. Compliant with both US Department of Energy (DOE) Level VI and European Union Code of Conduct (CoC) V5 Tier 2 energy efficiency standards, PSA120U Series desktop power adapters deliver 120W output power, and exhibit input power savings of <0.15W at 230VAC. The adapters are also certified to UL 60950-1, CSA 22.2 60950-1, and TUV safety specifications, and have built-in over-voltage, over-load, over-temperature, and short-circuit protections. Operating temperatures for the series span 0˚C to +40˚C, and allowable humidity spans 10 – 90%. PSA120U Series power adapters are housed in a non-vented, spill-proof case that measures 152mm x 73mm x 37mm (5.98” x 2.88” x 1.45”) and weighs 800g (1.76lbs). The 12V model features a four-pin mini DIN DC output connector, and all other models feature a 2.5 x 5.5mm standard center positive barrel DC output connector.